SPECIAL ORDERS TO ENGRAVE THE NAME OF THE PURCHASER ON THE ENGINEER'S CAB SIDE IN PRE-RELEASE RESERVATIONS WILL BE PROVIDED AT NO ADDITIONAL COST. SPECIAL ORDER PURCHASES AT THE NTS IN PORTLAND WILL HAVE AN ADDITIONAL PRICE TO THE BASIC MODEL'S MSRP, AND TAKE SIX WEEKS TO DELIVER. PLEASE USE THE ADJACENT SPECIAL ORDER REQUEST FORM TO RESERVE YOUR MODEL AND REQUEST A QUOTE FOR THE SPECIAL OFFER. YOUR EMAIL ADDRESS WILL RESERVE THE SPECIAL 2015 PORTLAND NMRA/NTS MINNETONKA MODELS. THE "MINNETONKA" CASTING PROTOTYPES WILL BE POSTED TO THIS WEB PAGEWHEN AVAILABLE, PLEASE CHECK FREQUENTLY. YOUR RESERVATION SECURES A UNIQUE MODEL ID# AND THE SPECIAL ENGRAVING OFFER AT NO ADDITIONAL COST. TO ITS POWERMAX! PRIME MOVER LINE OF PRECISION BRASS MODELS. THE MINNETONKA WILL BE RELEASED AT THE NMRA/NTS IN PORTLAND, OREGON IN AUGUST OF 2015, IN BOOTH #234. THE MINNETONKA IS AUTHORIZED TO PROUDLY CARRY THE NMRA & NTS LOGOS IN N SCALE. 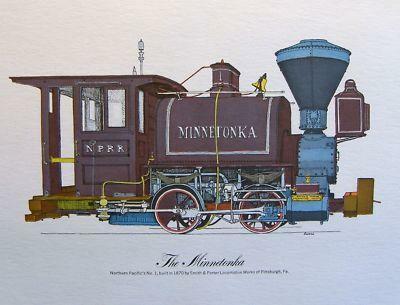 THE MINNETONKA WILL CARRY THE ORIGINAL ENGINE NUMBER AND LOGOS PAINTED PROTOTYPICALLY. 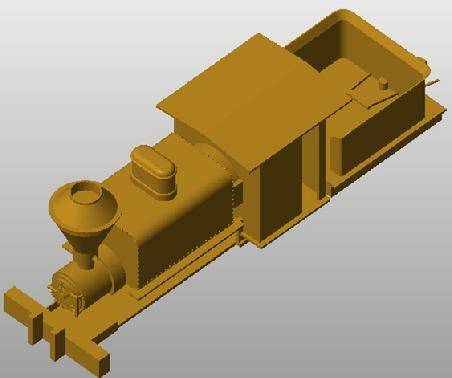 PRE-RELEASE ORDERS WILL HAVE THE OPPORTUNITY OF ENGRAVING THE NAME OF THE PURCHASER TO THE ENGINEER’S CAB SIDE. 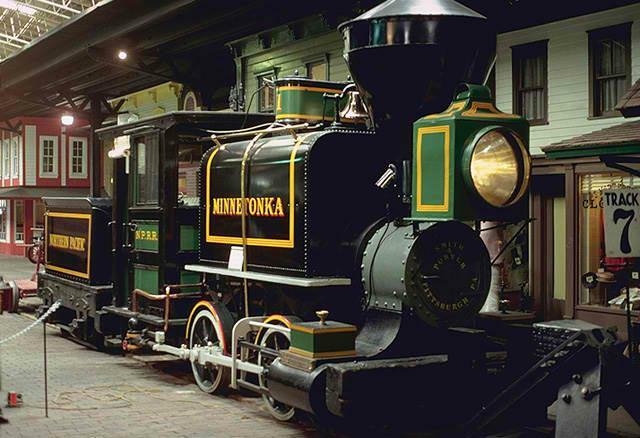 THE MINNETONKA, IS AN 1870 SMITH & PORTER 0-4-0T WHICH IS SAID TO HAVE BEEN THE FIRST STEAM LOCOMOTIVE PURCHASED BY THE NORTHERN PACIFIC; IT WAS USED TO POWER WORK TRAINS DURING THE CONSTRUCTION OF THE NP MAIN LINE WEST OF DULUTH. IN 1886 THE MINNETONKA WAS SOLD TO THE POISON LOGGING COMPANY OF WASHINGTON STATE WHERE IT CONTINUED IN SERVICE WELL INTO THE 20TH CENTURY. THEN, WHEN THE NP LEARNED OF ITS EXISTENCE IN 1933, THEY REACQUIRED THE 0-4-OT AND BACKDATED IT TO AN EARLIER APPEARANCE WITH A NEW CAB, STACK, HEADLIGHT, AND PAINT JOB. 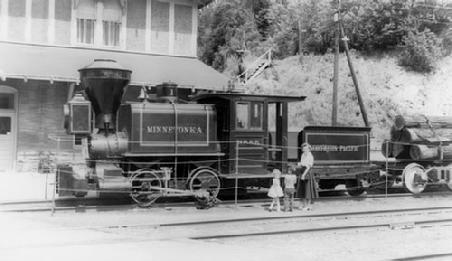 THE MINNETONKA SPENT MANY YEARS AS A CORPORATE MASCOT, TRAVELING AROUND THE NP SYSTEM AND PARTICIPATING IN VARIOUS CIVIC FUNCTIONS. IT RESIDES IN THE LAKE SUPERIOR RAILROAD MUSEUM IN DULUTH, MINNESOTA AND IS ON LONG TERM LOAN FROM OWNER BNSF. THIS IS THE LOCOMOTIVE WE WILL REPRODUCE. TO RAILFANS, THE ACRONYM NP MEANS ONLY ONE THING: NORTHERN PACIFIC. THIS LEGENDARY RAILROAD RAN FROM TACOMA TO ST. PAUL MN FROM THE 1870S UNTIL MERGING WITH THE GREAT NORTHERN IN 1970. THE COLUMBIA RIVER IS DEEP AND WELL SITUATED FOR OCEAN VESSELS TO ACCESS PORTS UP AND DOWN THE RIVER. NP ENGINEERS CONSIDERED KALAMA TO BE A PERFECT PLACE TO START THE WEST END OF THE ROUTE, WITH EASY ACCESS TO THE TERMINUS IN TACOMA WITHOUT HAVING TO ENTER THE PUGET SOUND. LABELED AS #1, THE MINNETONKA WAS BUILT IN PITTSBURGH PA IN 1870, AND WAS PURCHASED BY THE NP IN 1871. THE ENGINE ARRIVED A COUPLE YEARS LATER TO HELP BEGIN THE CONSTRUCTION OF THE LINE FROM THE COLUMBIA RIVER UP TO TACOMA. SOME SOURCES STATE THE MINNETONKA WENT “AROUND THE HORN” ON A SHIP, WHILE OTHERS SAY IT WAS SENT OUT BY RAIL TO SAN FRANCISCO AND THEN PUT ON A SHIP TO THE COLUMBIA. RECORDS INDICATE THE LOCOMOTIVE WAS SOLD TO A LOGGING COMPANY IN 1886, WHICH ULTIMATELY RETIRED THE UNIT IN THE LATE 1920S. A FEW YEARS LATER, THE NP FOUND THE UNIT SITTING IN THE WOODS AND TRADED IT FOR A WORKING LOCOMOTIVE. #1 WAS STILL OPERATIONAL, AND SERVED THE NP AS AN EXHIBITION PIECE FOR MANY YEARS.